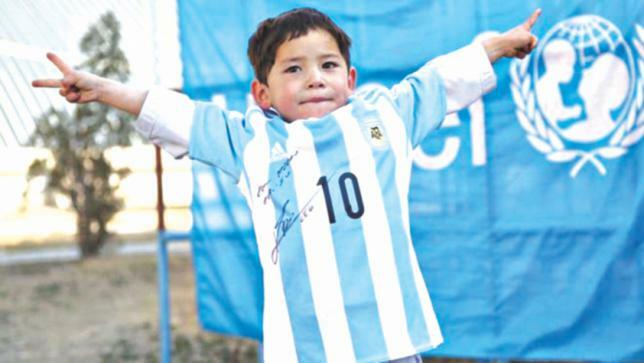 The Afghan boy who went viral for his homemade Messi shirt has been forced to flee his home over threats. Murtaza Ahmadi, who is now seven years old, went viral two years ago when he was pictured wearing a homemade Messi shirt. The shirt was not made out of another shirt, it was a plastic bag with the colors of the Argentine national team. The plastic bag with the light blue and white stripes had Messi and his number written on it with a marker. He later met Messi in Qatar and was given a signed shirt. He has been living in Afghanistan but the recent threats have forced his family to look for a new home. The family was living in the Ghazni province but they were forced to move to the capital. The family had other plans after the boy went viral. AFP reports that they planned to live in Pakistan but they returned to their country when they ran out of money. The boy’s creation was a huge story for weeks and people shared it on social media. The boy was later found and Messi learned about the story. He was later sent a signed shirt. Murtaza was also invited to meet Messi before a friendly match in Doha. He was allowed to walk onto the field with Messi. The story has made the boy famous but the family says this has made him a target. His mother spoke to AFP and said that people have been calling them and making threats. She said the family was forced to move when they heard gunshots at night. They did not take any of their belongings, including the shirt that was signed by Messi. The province where they live is currently under the control of the government but it has been the site of conflict by groups. Back in August, the area saw fighting and many were forced to flee. The area also saw some fighting last month. His brother spoke to the EFE news agency and said that Murtaza had not been able to attend school for the last two years. He also said he wasn’t allowed to play in the street. 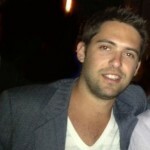 Lionel Messi, who has played for Barcelona for all of his professional career, is one of the most popular football players around the world. The Argentine star has broken many records with the club and has won several Champions League titles. Murtaza spoke to AFP in Kabul and said that he misses Messi and that he hopes to meet him again in the future. His family has moved to the capital to escape the threats and they have not said if they will ever return to the province. Conflict in Afghanistan have left more than 31,000 civilians dead and over 29,000 injured since 2001. Estimates say more than 110,000 soldiers, militants and civilians have lost their lives in the conflict.